Maybe there would be no atomic bomb. That, at least, was the hope of James Bryant Conant, 23rd president of Harvard, as he set out to write an informal secret history of the bomb in 1943. That document, “A History of the Development of an Atomic Bomb,” was never published. Declassified in 1960, a copy exists on microfilm in the basement of Lamont Library. “Everyone concerned with the project would feel greatly relieved and thoroughly delighted if something would develop to prove the impossibility of such an atomic explosive,” Conant, a former assistant managing editor of The Crimson, wrote. In the early years of the Second World War, Conant chaired the S-1 Executive Committee, the branch of the Office of Scientific Research and Development tasked with overseeing nuclear weapons research. After S-1 transferred its jurisdiction to the Army, and focus shifted from research to development, Conant became a scientific advisor to the Manhattan Project and a member of the Military Policy Committee. Besides overseeing progress, Conant was responsible for recruiting top scientific talent to the burgeoning Project, whose cardinal aim was to produce an atomic bomb. One of the scientists he brought in was J. Robert Oppenheimer ’26. 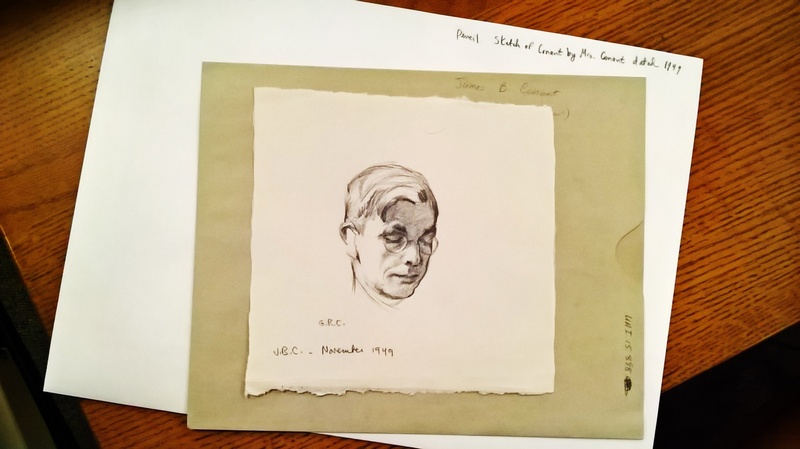 But by the time Conant—a member of the class of 1914—started writing his informal history, he had vacillated between skepticism, dread, and conviction for years. The possibility of nuclear weapons, and the possibility that Germany would achieve them before the United States, exacerbated Conant’s anxiety about the war. Conant did not initially want an atomic bomb, and he doubted scientists could make one. But if there had to be one, he felt that the U.S. should get there first. Conant’s worry was not unfounded, but, ironically, he spent little of his time actually governing his institution of higher learning, Harvard. A portrait of James B. Conant, drawn by his wife. Conant’s commitment to S-1 was considerable. According to his biographer James G. Hershberg ’82, Conant spent as many as five days a week in Washington. This led to dissatisfied whisperings of a plot—ultimately abandoned—to replace Conant among members of the Harvard Corporation, the University’s highest governing body. In May 1945, as the completion of the atomic bomb drew closer, Conant was appointed to the Interim Committee, created to advise President Harry S. Truman on how to use the impending weapon. He had grown increasingly worried about a postwar arms race. He thought that nothing short of actual military use could deter countries from unleashing the bomb’s monstrous capabilities. All speculation evaporated, however, on July 16, 1945, when the Army conducted the first detonation of a nuclear weapon in Alamogordo, New Mexico. Conant flew into Alamogordo, the testing site, the night before, anxious to see what fruits the past four years would bear. Around 5 a.m., Conant stationed himself 10 miles from the detonation. Against advice, he kept his eyes open, without protective glasses, as a loudspeaker counted down the taut seconds to the end. It took a whole day for Conant to put pen to paper to describe what he’d seen at Alamogordo. For 70 years, the light a Harvard president helped ignite has continued to burn. Entire movements have sprung to extinguish it, as have generations of academics; neither have succeeded. These days, news broadcasts about potential nuclear threats from North Korea are frequent, but they do not dominate campus dialogue. This was not always the case. 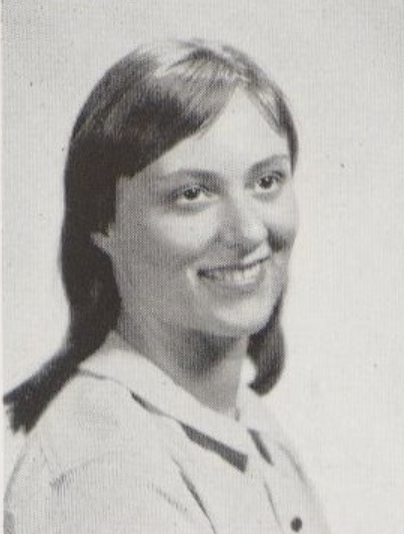 Barbara R. Du Bois '62. A decade later, when Du Bois was starting her junior year at Radcliffe College, her mother’s words lingered. She became one of the founding members of “Tocsin,” a group formed to advocate for nuclear disarmament at Harvard and the Harvard women’s college, Radcliffe. Du Bois, a self-described “practitioner of the Buddhadharma,” phones from “semi-retreat” in Arizona. Her short-term memory is hazy, she says, but her memories of this era are clear. 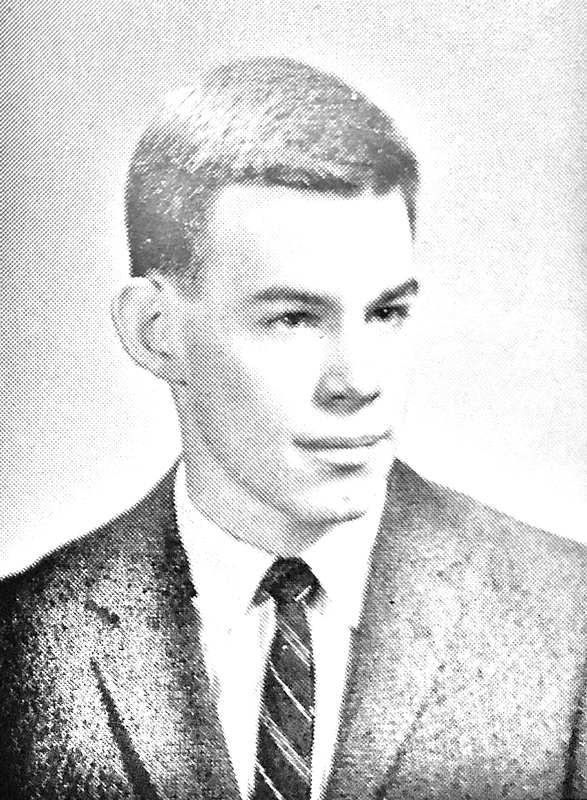 “There were a couple of looming issues that just stood above all others,” recalls Peter C. Goldmark Jr. ’62, another early member of Tocsin. There were other college student groups in the country who also focused on nuclear issues at the time. One of the most prominent was the National Committee for a SANE Nuclear Policy, or SANE, which had a Harvard-Radcliffe chapter that recorded 70 members in the spring of 1960—including some Tocsin founders. But Tocsin differentiated itself, according to Goldmark, by concentrating on specific policy concerns. “We were issue-focused, not ideology-focused. We were willing to weigh in to discuss the issues and I think by and large a community like Harvard respected that,” he says. And they were aware of the clout they could wield as a Harvard-centered group. Tocsin started small but grew fast. Du Bois remembers sitting on a living room floor creating a poster to attract students at the beginning of the year. A few weeks later The Crimson reported that about 150 people came out for the first Tocsin meeting, held in Quincy House in Oct. 1960. 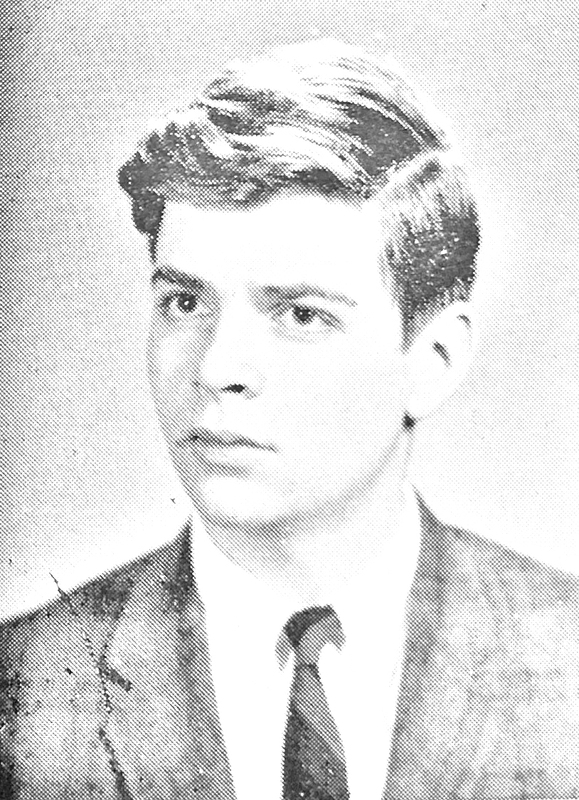 Todd A. Gitlin ’63 was among those new members in Tocsin’s early months. He says he had no prior protest experience. That October, he stood in the middle of Quincy dining hall wearing an anti-nuke button. Robert E. Weil ’61, the first chairman of Tocsin, approached him, he remembers; after that, he was quickly swept into the group. Gitlin says he appreciated Tocsin’s down-to-earth approach. “For one thing it was pragmatic, for another thing, it wasn't dogmatic, for a third thing, it stressed local initiatives,” Gitlin recalls. He saw the leadership as “passionate, but not hysterical, engaged, but not strident, and serious.” As seemingly the entire world grew tense over nuclear proliferation, Gitlin saw Tocsin as a level-headed bedrock in the debate. During that first October meeting, Tocsin leaders distributed sheets with two dozen specific proposed student actions. Nov. 10, 1960 saw the release of the first issue of a Tocsin publication known simply as “The Tocsin.” Less than a month later, Tocsin organized a “walk” on campus. According to “The Sixties,” a book Gitlin wrote years later reflecting on the era, about 1,000 people donned the blue arm bands Tocsin members handed out during the protest. 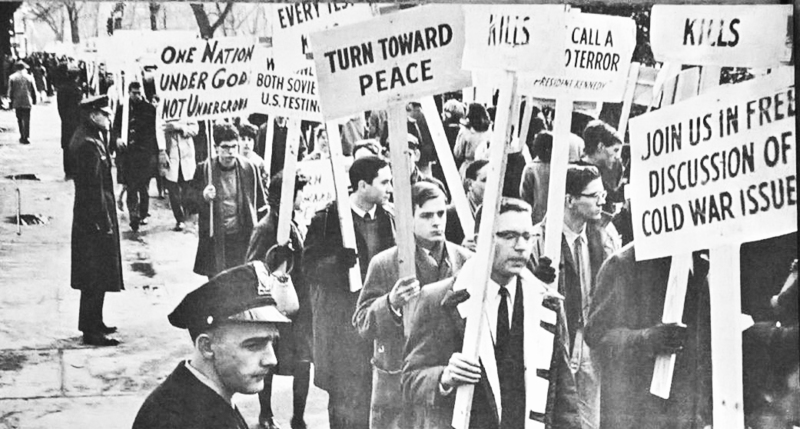 On the cover of 'The Tocsin' following the 1962 Project Washington march. Tocsin’s big moment, though, came in Feb. 1962, when its members marched on Washington. The Crimson reported that 2,000 students were expected to come from across the country, of which of which 300 were expected to be from Harvard and Radcliffe. Goldmark was now the Tocsin chairman, Gitlin was vice chairman, and the group was helping organize “Project Washington,” a February march for nuclear disarmament. 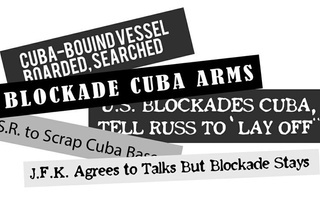 Two weeks earlier, The Crimson reported that the FBI had declared the demonstration “clear” of communist influence. In preparation for Project Washington, Tocsin members watched a film of a protest march in England. They also hosted seminar sessions to educate themselves on disarmament issues and wrote policy papers and proposals. Not only would Tocsin members be marching, but some would also talk to members of the Kennedy administration about disarmament, in particular arguing for the U.S.to announce a ban on atmospheric testing. If the U.S. stopped atmospheric testing, Tocsin reasoned, other nations would follow. The students needed to make sure their positions were focused and solid. Hans J. Morgentheau, then a professor of Political Science at University of Chicago who had served as a visiting professor in Government from 1960-61, analyzed the situation in a Jan. 1962 Crimson interview. Tocsin “must present their case seriously," he said, "or people in Washington will dismiss it as an adolescent prank." Christopher A. Sims ’63, a Tocsin member, remembers the march preparation as stressful but exciting. “We were not getting much sleep and we were working steadily and things were happening one after another,” he says. It had also been snowing on and off the whole week. Gitlin decided to drive down to D.C., but the snow forced him to abandon his car in Springfield, MA and take the train the rest of the way. But a little snow was a small price to pay. No one seems to know definitively how many people were at the march. The New York Times reported police estimates of 2,800; a Crimson article written over a year later cites the number as 6,000; Gitlin recalls trying to count and coming up with “maybe 8,000 people.” It’s a big range. 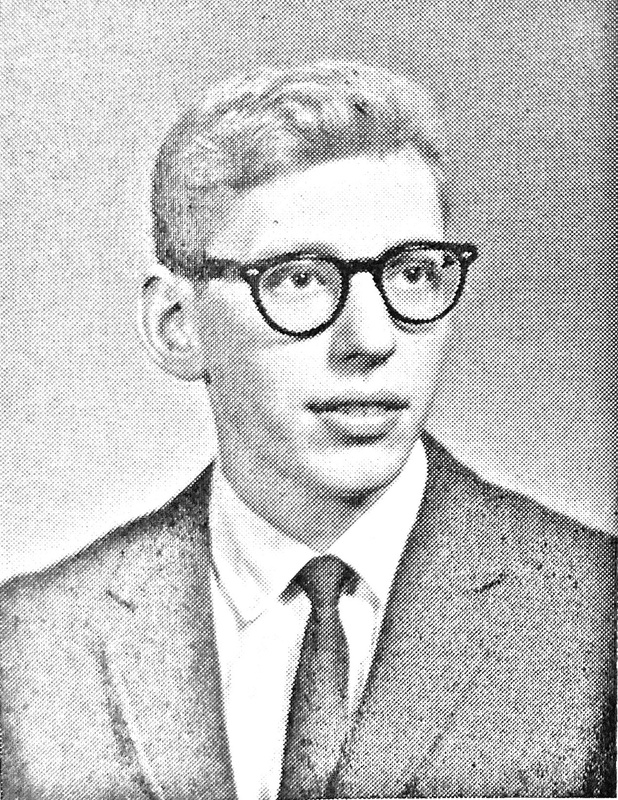 Gitlin numbered among the students who met with officials in Washington. He says the group earned a positive reception from the administration of John F. Kennedy ’40, a former Crimson Business Manager. After Feb. 17, the two-day protest and discussion that had been months in the making drew to a close. Buses hit the road, first-time protesters parted, and members of Tocsin returned to Cambridge, waiting to see what would come out of Washington. Peter Goldmark saw the march as a success. He feels many people saw it as “a wake up call to the country as a whole,” who could see that college students—the next generation—really cared about nuclear weapons proliferation. In August 1963, the U.S. signed the Nuclear Test Ban Treaty banning all above-ground tests of nuclear weapons—a primary Tocsin demand from Project Washington. But time is valuable in college. As 1963 became 1964 became 1965, the civil rights movement and the Vietnam war protests gained traction. Founding members graduated, and the energy that might have gone toward more disarmament protests went elsewhere. Tocsin stuck around, popping up every now and then in The Crimson but never again achieving the momentum and notoriety surrounding Project Washington. Nuclear proliferation ceased to be the hot topic of the day, but this didn’t mean Harvard students sunk back into the apathy that Barbara Du Bois saw in the ’50s. The opposite took place: students were sparked. The movements of the present built on the movements of the past as if campus activism were traced on a palimpsest—writing, erasing and rewriting over and over on the same template. If you search the Student Organization List on the Office of Student Life website for words like “nuclear,” “atomic,” and “disarmament,” nothing comes up. There are no student groups at Harvard now that do the same work Tocsin did—no students organizing disarmament protests with the same fervor that Du Bois, Goldmark, Gitlin, and other Tocsinites shared. And while marches in Washington are far from a thing of the past these days, they aren’t typically focused on the current global stockpile of approximately 15,000 nuclear weapons. The current nuclear threat, for many, is North Korea. Roughly a half dozen Harvard students with ties to South Korea said they feel equal parts frustration with and resignation over the looming danger. Friction with North Korea is nothing new to these students—nor are North Korea’s efforts to develop nuclear weapons. On Sept. 3, 2017, North Korea claimed to have successfully tested a hydrogen bomb compact enough to load onto a warhead. Two months later, North Korea launched the Hwasong-15, a ballistic missile capable in theory of reaching the continental United States. With these two milestones, the pall of annihilation crept up again. Jokes about the North Korean nuclear crisis also exasperate Kate Yoon ’18. Yoon attended high school in South Korea, though she also grew up in Canada. Kim doesn’t talk much with people about the North Korean threat. It’s extreme, but catastrophe to him feels too improbable. “I feel like it’s better for us in terms of mental health if we just live as normal and try not to worry about it,” he says. Relentless proximity to North Korea made Yang realize that the crisis was “a lot bigger than what we make it out to be,” which is part of the reason he’s doubtful about the efficacy of casual college conversations. Yang also recognizes that, for most Harvard students, “at the end of the day, it’s an important issue, but it’s not an urgent issue for them.” There are predictable, and understandable, reasons for this general indifference, he says: grades, recruiting, careers. Not much time to protest atomic annihilation. “It’s unrealistic,” he says. Elaine Scarry, a Harvard English professor, says she thinks the sense of apathy might be societal, rather than generational. She says it’s a problem that confounds experts who work in nuclear policy. Scarry chaired a conference at Harvard in November on nuclear policy, and recently published a book calling for the categorical elimination of nuclear weapons. Scarry says the apathy is particularly odd, given that there are “1,000 topics that would lead you to predict that people would care a lot about this issue.” She lists off imperialism, racism, and the environment. “If you had to predict who would care about this, everybody would care about this, but the answer is that very few people care about it,” she says. “It’s not that people don’t protest in general, or take responsibility in general,” Scarry says. But she believes people feel powerless when it comes to war. Nuclear weapons, she asserts, are a “heightened form” of war. This complicates traditional notions of activism. “The nuclear is a heightened form of [war-specific apathy] because it’s the most dire, and there’s the least time to act on a protest,” Scarry says. In a conventional war, for example, protests can be held every day until the war ends. With nuclear weapons, however, there is no such interim between a launch and a devastation. Allison is a former dean of the Kennedy School of Government and former assistant Secretary of Defense in the Clinton administration. During the 1980s, he proposed a model for controlled deterrence of nuclear war known as the “Owl” strategy. More recently, in 2004, he published a book on nuclear terrorism. He says he thinks there is a high chance that 2018 will see either a North Korean attack on the West Coast or a preemptive American attack on North Korea. “The security community gets it. Trump gets it. But if you’re asking your classmates or you walk in the square and try to see who you could find who would be interested in this, there wouldn't be much interest,” he says. Allison is a former director of the Kennedy School’s Belfer Center for Science and International Affairs, a think tank that he says emerged in the early ’70s from Cold War concerns about arms control. 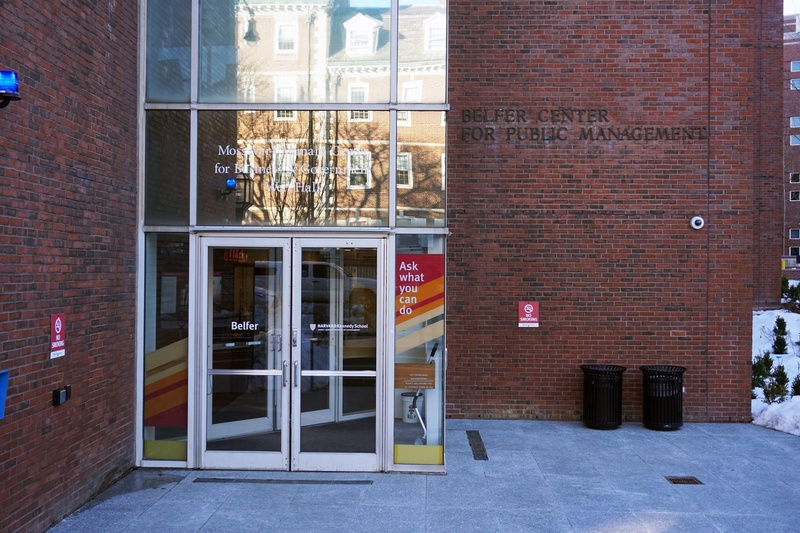 Today, the Belfer Center holds a strong reputation for its nuclear weapons policy research. “I think it’s generally recognized in Washington or the think tank world that if you say ‘Who does nuclear weapons and their consequences and their policy with respect to them?’ They would say the Belfer Center,” Allison says. The Korea Working Group is the division of the Belfer Center focusing on the current North Korean nuclear crisis. John Park is its director, and his focus is teaching practical policy. It all happens very quickly. And very slowly. Decades, years, months. Or just a few minutes. Chloe A. Saracco ’21 says she heard her mom’s voice but didn’t immediately get up. She lay in bed for a few more moments. “What, mom?” she remembers saying. Downstairs, she says, her dad was carrying two jugs of water and a basket of granola bars on his way to the car while Saracco looked around the kitchen and grabbed a family picture off of the countertop and went to the car with her family photo and her mom and her dad and her dog, Ella. The Saraccos have a Tesla with a “nuclear button,” she says, that is supposed to recirculate the air so no outside air gets in, a safeguard against radioactive airborne material. But as they were Googling what to do in the moment, they found an online article that said you should not be on the road in the event of a nuclear crisis. So the Saraccos sat in their car in the garage in Hawaii waiting for the incoming missile. Anna I. Uhr ’19 didn’t set an alarm over winter break, but she woke up on Jan. 13, 2018 to a “loud, scary” noise coming from her phone. She looked at it and saw an alert that a missile was heading toward Hawaii. It was not a drill. Her family didn’t know where to find shelter, so they closed their windows, filled up reusable water bottles at the sink, and collected all of their canned food. They didn’t really know what to do; they were doing everything they could think of. But a lot of it felt pointless. And then it was over. The alert was sent in error. It wasn’t until 8:45 a.m., though, that another message went out over cell phones retracting the the warning. Thirty-eight minutes after the original alert. Turn off the nuke button on the Tesla. Open the windows. Sit on the couch. The incident also retains a lasting gravity. “I started texting my parents goodnight every night,” Saracco says. She takes a moment to gather herself as she sits in a campus cafe. A tear falls from her eye. She wipes it, and she moves on. Saracco and Uhr are back on the mainland, in the middle of spring semester at Harvard. Still supposedly in range of a North Korean missile, but it’s more of a distant threat. Saracco says her family now keeps duffel bags packed. “You’re supposed to have clothes to change into so you can get the ones with radioactive material off,” she says. Conant never regretted advising Truman to drop the bomb. He held to the line that military example was needed to show people the full import of the weapon. And yet the demonstration of the bomb in Hiroshima and Nagasaki had the opposite of the preventative effect Conant wanted—it kicked off the Cold War arms race. It birthed the spectre that would haunt the Tocsinites as they marched in Washington in 1962; the spectre that would flicker for a moment in Hawaii in 2018; the spectre that today hangs over the Koreas, students at Harvard, and the world. The spectre came to haunt Conant too, in the end. When he learned of the next iteration of atomic weaponry, the hydrogen bomb, he was horrified. Here was a weapon that promised explosive power up to 1,000 times greater than the bomb he saw at Alamogordo. Conant became an unsuccessful advocate for nonproliferation, then disarmament. By then, hydrogen bombs had already proliferated across the globe. Conant was living through the reverberations of that day in 1945 when he witnessed the first test of a bomb he helped make. He was inhabiting the world of his sketches and notes taken from 10 miles away. Those reverberations have yet to stop. Magazine writer Luke W. Xu can be reached at luke.xu@thecrimson.com. Follow him on Twitter @duke_of_luke_. Magazine writer Matt B. Hoisch can be reached at matt.hoisch@thecrimson.com. Follow him on Twitter @hoischy. What did the president know, and when did he know it? Oh, and what did he do to stop it?